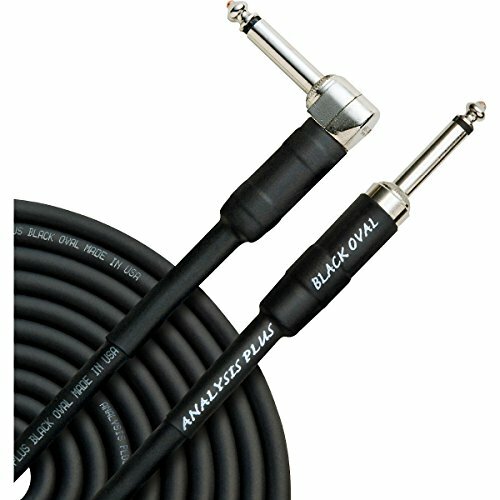 What Analysis Plus considers to be its best flex-and-feel instrument cables, the Black Oval series is an ROHS compliant, completely green cable that sounds as good as it feels. The instrument cable has 20 gauge conductors, a conductive sheath to eliminate microphonics, and an oval center conductor with a hollow oval return. This version has 1/4" straight plug to 1/4" angle plug.The cable, connectors, packaging, and it's design are all done in the USA. If you have any questions about this product by Analysis Plus, contact us by completing and submitting the form below. If you are looking for a specif part number, please include it with your message.